Christmas at Stone Chapel Mug, by Lang. 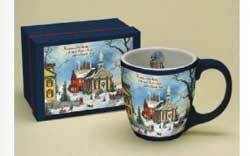 Ceramic mug comes with a coordinating gift box, both featuring full color artwork. Microwave and dishwasher safe. Artwork by Linda Nelson Stocks. 11 oz capacity. 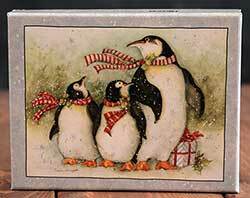 Christmas Day Penguins Boxed Christmas Cards, by Lang. These boxed cards feature beautiful full-color artwork, inside and out, by Susan Winget. Sentiment Reads: The Magic of Christmas Never Ends, and its Greatest Gifts are Family and Friends. 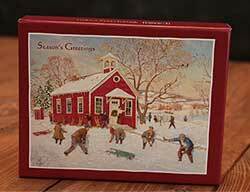 Country School Boxed Christmas Cards, by Lang. These boxed cards feature beautiful full-color artwork, inside and out, by Lee Stroncek. Sentiment Reads: "Warm wishes to you and yours in this holiday season." Season's Greetings. Clear glitter embellishments. Includes 18 cards and 19 envelopes tucked into a sturdy keepsake box. Measures 5.375"w x 6.875"h (folded). 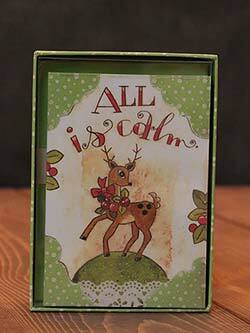 Dancing Reindeer Artisan Petite Christmas Cards, by Lang. These boxed cards feature beautiful full-color artwork, inside and out, by Karen Goode. Sentiment Reads: All is Calm. Wishes of Peace and Joy. Includes 12 cards and 13 envelopes. Measures 3.5 x 5 inches (folded). 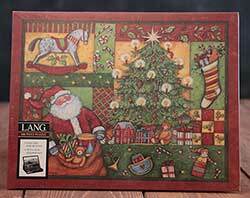 Folk Art Holiday Assorted Boxed Christmas Cards, by Lang. 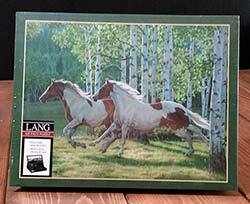 These boxed cards feature beautiful full-color artwork, inside and out, by Linda Nelson Stocks. 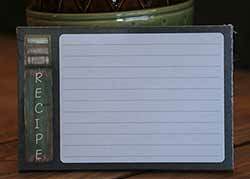 There are two different cards - see detail photos for the 2nd artwork style that is in this assortment. Sentiment Reads: Wishing you a very Merry Christmas and a New Year filled with Peace and Happiness." Includes 18 cards and 19 envelopes tucked into a sturdy keepsake box. Measures 5 3/8"w x 6 7/8"h (folded). 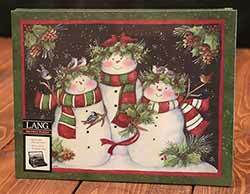 Frosty Boxed Christmas Cards, by Lang. These boxed cards feature beautiful full-color artwork, inside and out, by D.R. Laird. Sentiment Reads: Sentiment Reads: Wishing you a Joyous Holiday Season! Foil embellishments. 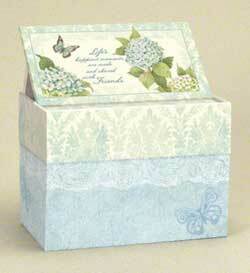 Includes 18 cards and 19 envelopes tucked into a sturdy keepsake box. Measures 5.375"w x 6.875"h (folded). 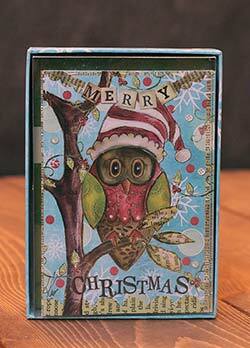 Holiday Owl Artisan Petite Christmas Card, by Lang. These boxed cards feature beautiful full-color artwork, inside and out, by Lisa Kaus. Sentiment Reads: Merry Christmas. To You! Includes 12 cards and 13 envelopes. Measures 3.5 x 5 inches (folded). Joy Full Boxed Mug, by Lang. Ceramic mug comes with a coordinating gift box, both featuring full color artwork. Microwave and dishwasher safe. Artwork by Kelly Rae Roberts. Reads: "I believe when all else fails, love always wins; I believe in practicing courage every single day; I believe kindness changes everything; I believe in telling our messy, complicated, beautiful stories". 14 oz capacity. 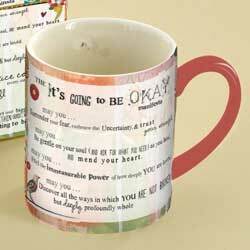 Okay Manifesto Boxed Mug, by Lang. 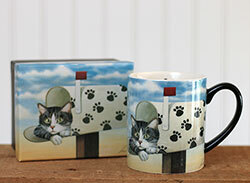 Ceramic mug comes with a coordinating gift box, both featuring full color artwork. Microwave and dishwasher safe. Artwork by Kelly Rae Roberts. Reads: "May you surrender your fear, embrace the uncertainty, and trust your strength; May you be gentle on your soul (ask for what you need) as you heal, and mend your heart; May you feel the immeasurable power of how deeply you are loved; May you discover all the ways in which you are not broken, but deeply, profoundly whole....". 14 oz capacity. 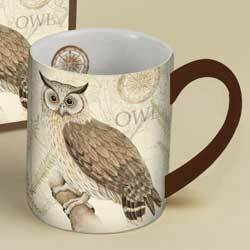 Owl Boxed Mug, by Lang. 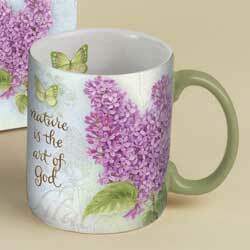 Ceramic mug comes with a coordinating gift box, both featuring full color artwork. Microwave and dishwasher safe. Artwork by Susan Wingeta. 14 oz capacity. 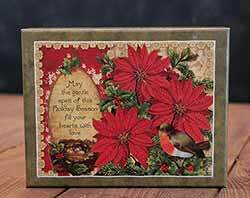 Poinsettia & Holly Boxed Christmas Cards, by Lang. 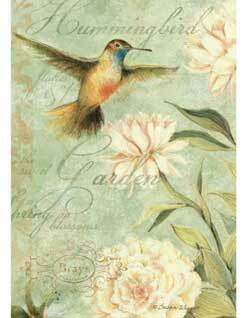 These boxed cards feature beautiful full-color artwork, inside and out, by Barbara Anderson. Sentiment Reads: Warmest wishes of the season. May the gentle spirit of this holiday Season fill your hearts with love. Foil embellishments. Includes 18 cards and 19 envelopes tucked into a sturdy keepsake box. Measures 5.375"w x 6.875"h (folded). 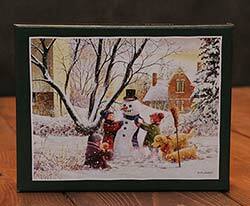 Snowmen Family Puzzle, by Lang. 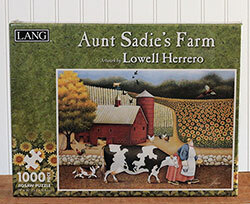 Beautiful 500 piece puzzle featuring full-color artwork by Susan Winget. 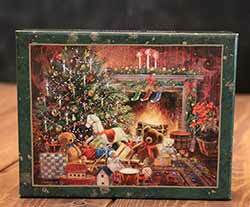 Box size is 11''w x 8-1/2''h x 1-1/2''d, finished puzzle size is 18 x 24 inches. Makes a great gift. Other puzzles available! Toulouse Largent Boxed Mug, by Lang. 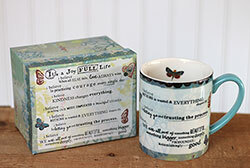 Ceramic mug comes with a coordinating gift box, both featuring full color artwork. Microwave and dishwasher safe. Artwork by Lowell Herrero. 14 oz capacity, perfect for that big steaming mug of coffee! Makes a great gift for any cat lover! 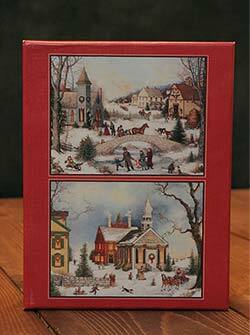 Wonder of Christmas Boxed Holiday Cards, by Lang. These boxed cards feature beautiful full-color artwork, inside and out, by Stewart Sherwood. Sentiment Reads: May your Holiday season be filled with Old-Fashioned Joy! Includes 18 cards and 19 envelopes tucked into a sturdy keepsake box. Measures 5.375"w x 6.875"h (folded).